IRVINE, Calif. (July 27, 2015) – The Claire Trevor School of the Arts (CTSA) at the University of California, Irvine is launching a new Minor in Digital Filmmaking. The Department of Art is accepting applications for the first classes which commence Fall Quarter 2015. The new program will give students across campus the skills to create sophisticated time-based media projects and learn expertise in production. The program boasts a hybrid of traditional and creative approaches with emphasis on the production of new works for delivery online. With the Minor, Undergraduate students will have the opportunity to produce digital film works with content that contributes to the future of film as an art form. Digital Filmmaking students learn both traditional and experimental components of structure and content. Students will study a range of pre-production, production, and post-production courses to learn how to conceptualize, plan, execute, finish and deliver film works. Students will learn to produce films for distribution on emerging platforms. The Minor in Digital Filmmaking consists of eight courses coordinated to take the student well beyond the introductory level in the subject matter and discipline of filmmaking. Issues courses give the students grounding in history, criticism and theory of experimental film, and video art. Projects courses include documentary, narrative, and episodic web content to provide a range of creative opportunities for artistic expression and achievement. Courses include: Production I - Project I, 3 minute personal documentary; Production II - Issues in Video Art History & Criticism or Issues in Experimental Film History; Pre-Production; Post-Production; Advanced Project I - 5 minute film; Advanced Project II - 7 minute film or Web Series - episodic content. Digital Filmmaking production facilities include a Sound Stage, Equipment Office, Undergraduate Post- Production Lab, Lecture spaces and teaching labs. Students will continue to work with visiting artists; recently, as production crew for the Koki Tanaka video installation “a piano played by 5 pianists at once (first attempt)” featured in his show “abstract speaking - sharing uncertainty and collective acts” which won Special Mention to Japan, 55th International Venice Biennale in Art, The Japan Pavilion. Digital Filmmaking premiered its first UCI Collegiate Showcase at the Newport Beach Film Festival in April 2015. The program also engages the community through Open House events and Saturday Academies in Digital Filmmaking. The Summer Academy in Digital Filmmaking creates outreach to high school students and prospective UCI applicants. The Digital Filmmaking Festival is held each June in the Arts Amphitheater featuring a selection of the best film works produced through the program. As UCI’s creative laboratory, the Claire Trevor School of the Arts explores and presents the arts as the essence of human experience and expression, through art forms ranging from the most traditional to the radically new. The international faculty works across a wide variety of disciplines, partnering with others across the campus. National-ranked programs in art, dance, drama, and music begin with training but end in original invention. 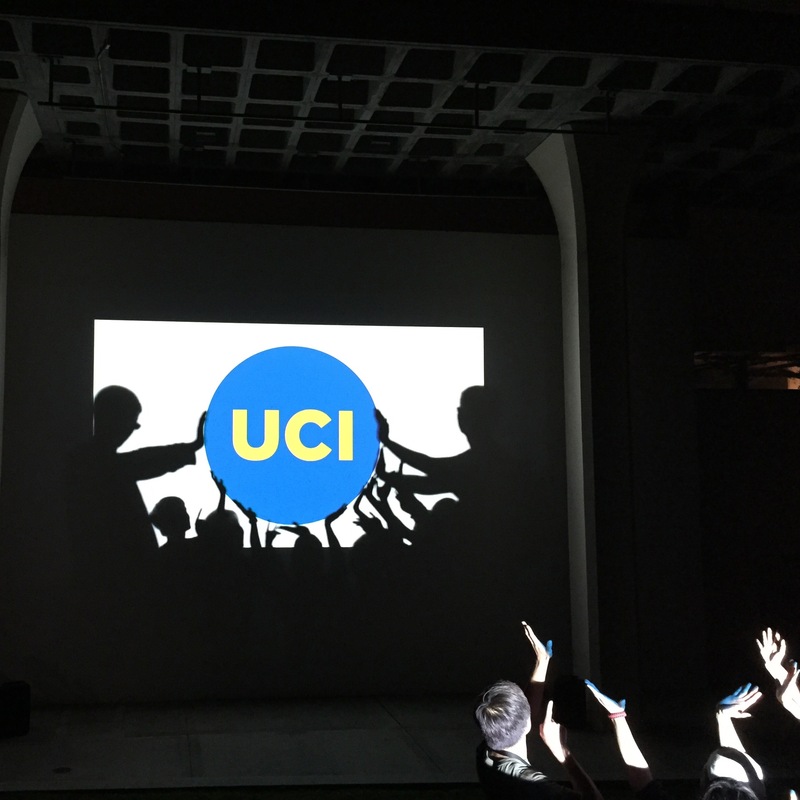 Students come to UCI to learn to be citizen-artists, to sharpen their skills and talents, and to become the molders and leaders of world culture. For more information, please visit www.arts.uci.edu.